Sweden’s largest hydrogen fuel station has been opened by AGA, a subsidiary of the Linde Group. The fueling station is also the first to be opened in Stockholm and will supply fuel to those with fuel cell vehicles. These vehicles have yet to see widespread commercial release in Sweden, but the country is expected to become a prominent market for fuel cell vehicles in the near future, especially as new fuel stations are developed. The new hydrogen fuel station has a capacity of 180 fillings, providing fuel at 700-bar pressure. Like similar fueling stations, it will be able to provide fuel at a quick rate. Fuel cell vehicles take only minutes to fuel completely, unlike battery electric vehicles that can take several hours to charge. This is one of the attractive qualities of fuel cell vehicles, as well as the fact that they do not sacrifice performance for being environmentally friendly. The Linde Group has played a significant role in the development of a hydrogen fuel infrastructure in many parts of the world. The company has established approximately 100 hydrogen fuel stations in 15 countries and these stations now account for more than 1 million fueling operations. Linde has worked with several other organizations to expand the hydrogen infrastructure of several markets, preparing these markets for the eventual commercialization of fuel cell vehicles. Automakers have also been investing in the development of hydrogen stations, hoping to pave the way to success for their new clean vehicles. Despite these investments, however, building a hydrogen infrastructure has proven to be a slow process. Without an expansive infrastructure, fuel cell vehicles may have limited appeal to consumers. 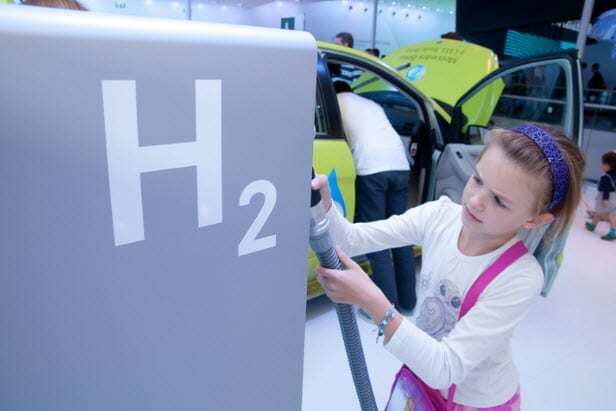 Moreover, the relatively high cost of hydrogen fuel cells themselves may also be an unattractive aspect for consumers that are concerned with the cost of transportation.